"He heard the whistle of the sword before he felt the ice cold metal on the back of his neck." "She had wide icy blue eyes with long, thick lashes." "There was a stump where his head should be." 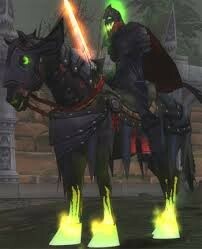 This is Important because it tells you what the horseman sort of looks like. "Her shirt was a standard button up for guy, but she'd rolled up her sleeve and knotted up the bottom until it fit her properly. She had half a doze rings on her fingers................." This is important because the clothes that she wears kind of gives off her personality. The Theme is that you should help your friends and family no matter what the cost.